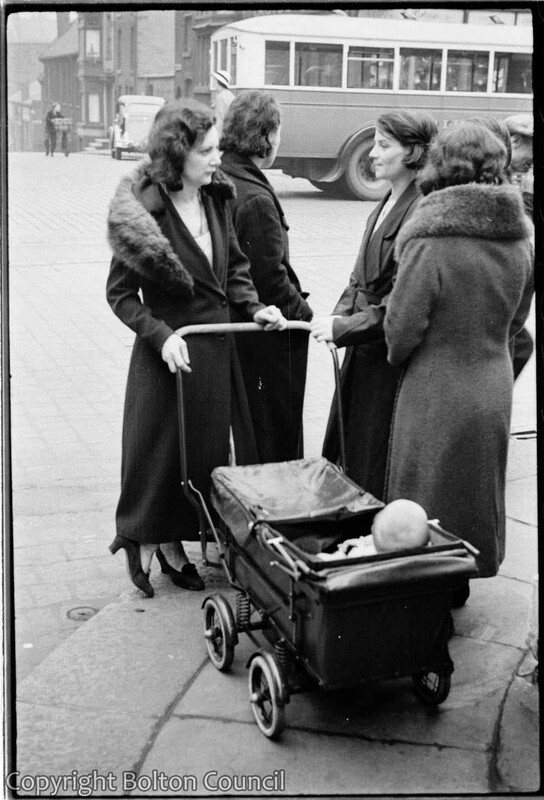 Women with a pram talk on a street corner on Deansgate. The st, opposite the ladies is St.Osmunds St. Leadind down to St. Helena St. The street’s correct name is St Edmund Street, named after the Catholic Church of that name. Thanks for the correction David.Goodness knows why I gave the wrong name. I even spelled leading wrong. When I finished in the navy I bought a triumph tigress scooter from the shop at the top of the street. It was called Kings motorcycles. My grandad told me it used to be a fruit shop,.